A superfood mixture of quinoa, wilted kale, and Hand Shucked Clams seasoned with a bit of Middle Eastern spices, lemon, and fresh herbs. Bring quinoa, clams, water, and 1 tsp. salt to a boil in a medium saucepan over high heat, then reduce heat to medium-low, cover, and simmer until quinoa is tender, about 15 minutes. Remove from heat and let stand covered for 5 minutes. Fluff with a fork. 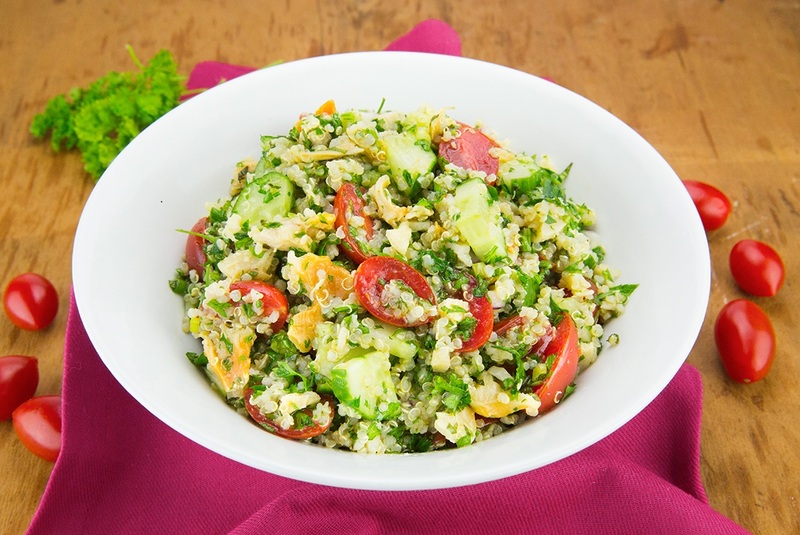 In a large bowl, combine ¾ of the vinaigrette with the cucumber, tomato, parsley, mint, scallions, red onion, and quinoa then stir to coat. Season to taste with salt and pepper. Drizzle remaining dressing over and serve immediately.